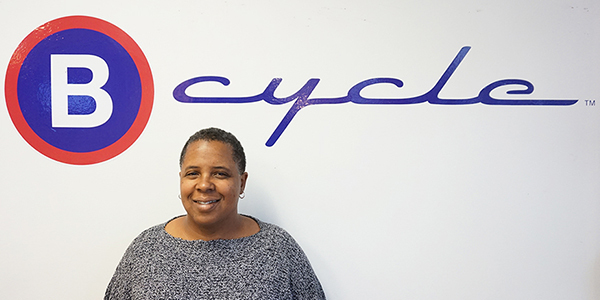 Dianna Ward of Charlotte B-cycle knows that if you really want to engage community, you have to be willing to hand over the reins to neighborhood residents. 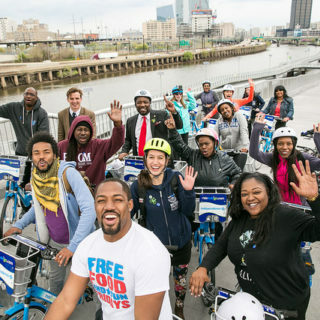 Charlotte, North Carolina is the home of the first bike share ambassador program in the country, so when it comes to community engagement, they know how to get it done. 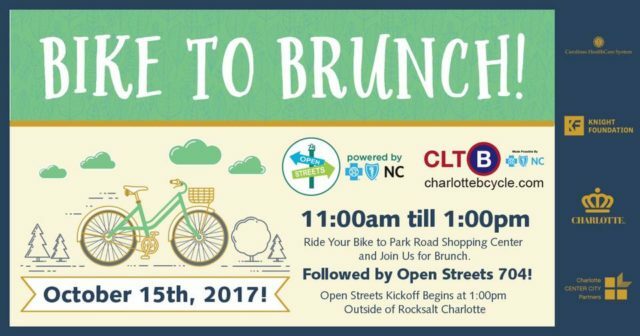 The mindset of being oriented toward the community can be seen in who Charlotte B-cycle talks to at their events, which is, in short, everyone. The system is expanding from 26 to 52 stations over the coming year and a half. Dianna Ward. Source: Charlotte Center City. The sheer number and variety of rides that Charlotte B-cycle engages in is worthy of a prize. Their events have had names such as Bike to Brunch, Bike to the Ballet, and Bikes on Tap (visiting local breweries). 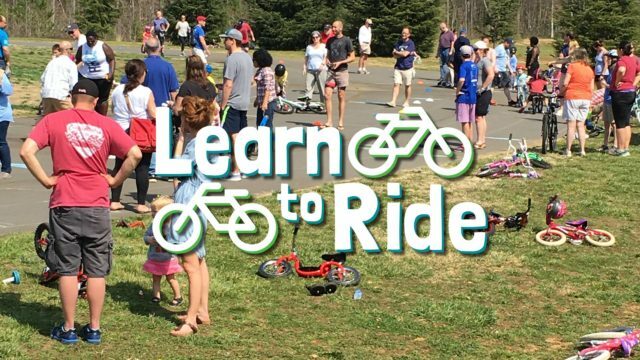 And Charlotte B-cycle has also supported a number of learn-to-ride events, which are run by a different organization. One event that Ward described in detail was the Sole to Soul West Side Glow Ride from September of last year. 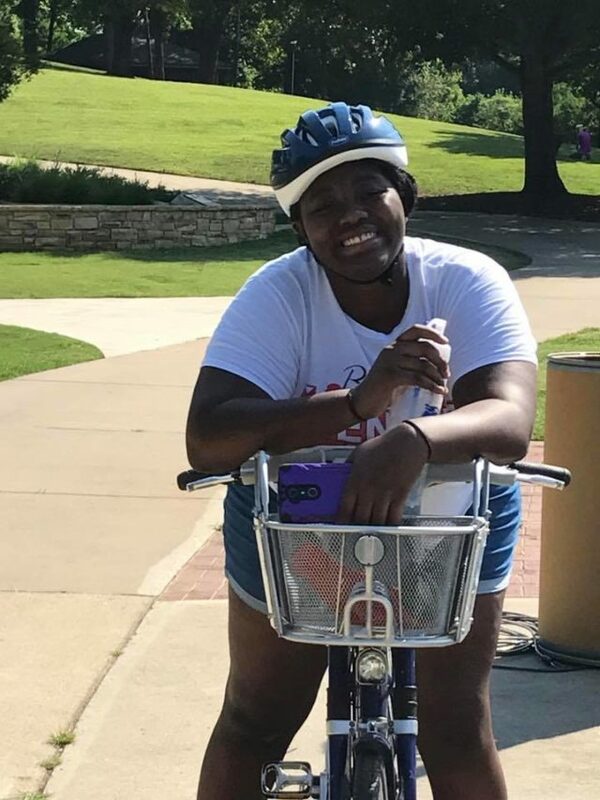 Residents decked out their bikes in lights (best decorated won a prize) and went on a group ride that culminated in cookout at the end of the route. The ride was a great show of unity in a community of shifting demographics. Ward is quick to point out that these events don’t happen in a vacuum. The Glow Ride, for instance, was supported by the Knight Foundation, BCBSNC, Carolinas HealthCare System, Historic West End Initiative, 100 Black Women, No Grease and Johnson C. Smith University. In being a part of all these rides, Charlotte B-cycle has learned an important lesson — that letting locals plan the rides they want to see means better attendance and involvement. Through programs like Queen City Joyrides, regular residents can get the support they need to lead rides of their own. When asked how Charlotte B-cycle’s community-building work has been so successful, Ward says it’s about seeing opportunities wherever you go — both on and off the bike. Ward also said that it’s important to be humble and modest when approaching community members, and to remember not to make equity-oriented outreach feel like a separate approach. The power of letting residents be a big part of outreach and equity efforts is that the result can change how neighbors see and relate to one another. One example of this was the On the Table event from last year, where riders followed a bike route and then participated in an “international feast” together. 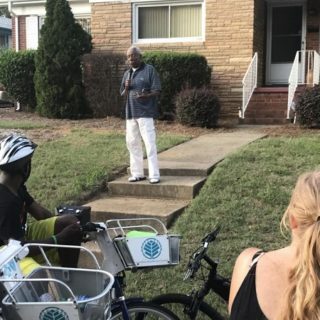 Another example of this kind of community building is the Pedal to the Porch event, created by Cornetta Lane of Detroit, where groups ride to someone’s actual porch to listen to them tell a story about their life or their community. The events often go along with a workshop, and organizers work to choose neighborhoods where voices aren’t always heard. Charlotte B-cycle just received funding from the Knight Foundation to put on a local Pedal to Porch and will begin planning this summer for fall rides. B-cycle has also had a presence and organizing role for the local Open Streets 704 event. As such, Charlotte B-cycle is contributing to a reshaping of how residents experience their own streets, and helping to bring a more multi-modal vision to life.